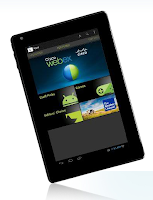 Google Play is the ultimate app store for Google Android based tablets and smartphones. There are plenty of apps available on Google Play, from games to productivity apps. Access to Google Play, however, has been limited for budget Android Tablet. That is going to change soon. Nextbook Premium 7SE-GP will be available with Google Play on board. There is no fixed release date yet. E-Fun, the company that develops Nextbook Premium 7SE-GP said, it is coming soon in December. Considering that it is end of November already, it is not a long wait. The specifications are pretty good, and for the price, it is a good deal. Definitely worth a second look if you are looking to buy an Android tablet this holiday season.